ATLANTA (AP) — Pepsi is pouring it on in Coke’s house — injecting some fizz into its biggest rivalry during the buildup to the Super Bowl. While the visitors had called for a “cola truce” on social media with the NFL title game in the shadows of its competitor’s Atlanta-based headquarters, it seems to have been more of a Trojan Horse subterfuge designed to lure Coke into lowering its defenses. 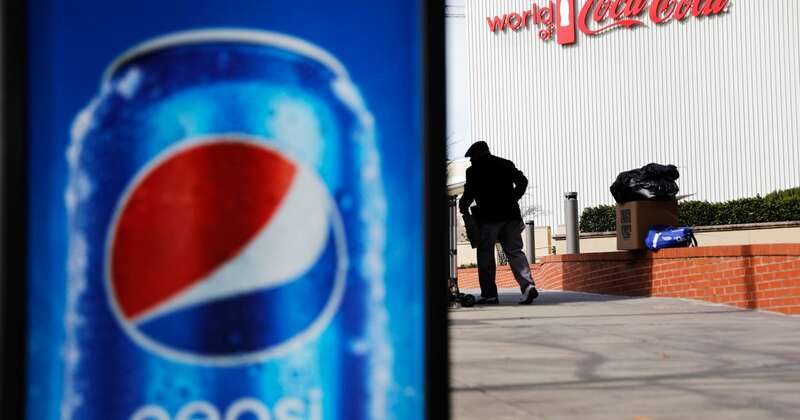 But while Pepsi has been intent on having fun at Coke’s expense, Coke will be tapping into its home-field advantage: Because it owns the “pouring rights” at Mercedes-Benz Stadium, Coke products will be for sale at the fountains during the game between the Patriots and Rams. But the drinks will be served in NFL-themed Super Bowl cups. That hasn’t deterred Pepsi. The company, based in Purchase, New York, wheeled a life-sized statue of its founder, Caleb Bradham, in broad daylight to toast a soda with none other than the statue of Coca-Cola founder John Pemberton. The meeting came just outside the World of Coke museum in downtown Atlanta. Pepsi was asked to leave a few minutes after setting up on the Coke property that’s located just a couple of blocks from the stadium. “I think certainly they came and they used Atlanta as an opportunity to have an Atlanta-focused message, and what I would say is that we have a message that is uniquely Coca-Cola,” said Brynn Bardacke, vice president of content and creative excellence for Coca-Cola North America. “I think we’re going to leave the rumbling to the football. Lest anyone forget that, Coke has bought the time slot right before the national anthem to roll out its big Super Bowl ad, “A Coke is a Coke,” a strategic move it would’ve made regardless of Pepsi being in his hometown. For Houston resident Zephra Belle, there’s no way she’s drinking Coke.